Daniel Buckles coordinated the activity and liaised with the City of Ottawa and Councillor Leiper’s office. Posted on June 9, 2018 by AGMS | Comments Off on Water a Pontiac Planter! 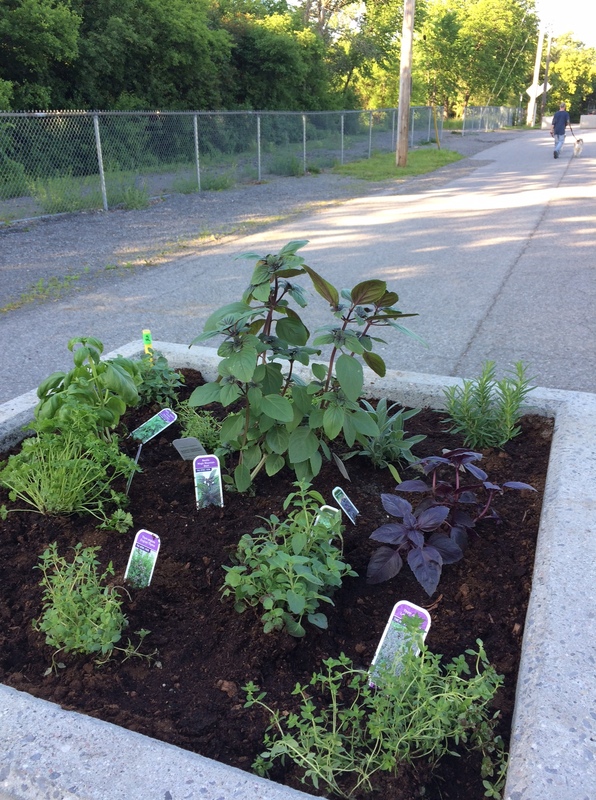 The community now has 7 planters to beautify the extension of Champlain Park at Pontiac Avenue, cared for by volunteer gardeners. To help them along, we invite dog walkers and any others that enjoy going down to the river at Carleton Avenue to take some water with them for the plants. Soak a plant in a planter, rather than sprinkling water around, so that roots go deeper. This will help ease the worry of the volunteer gardeners throughout the season. 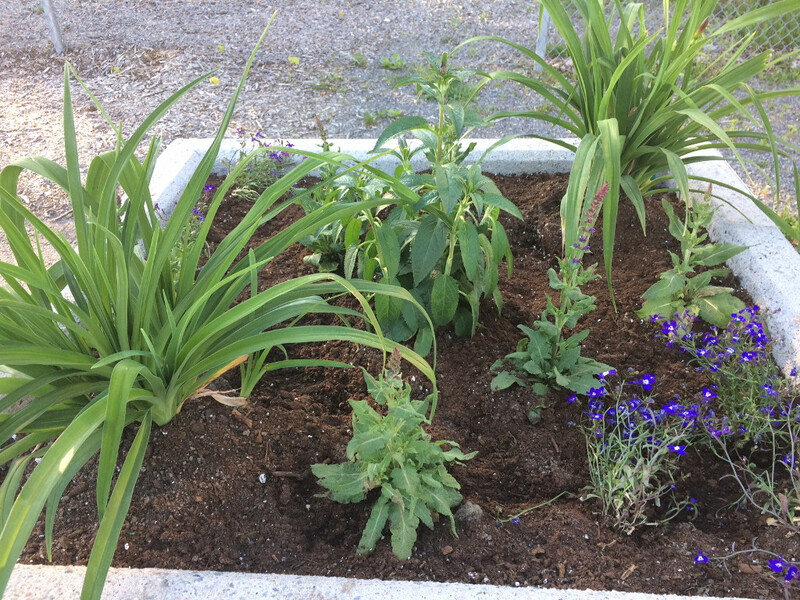 We would like to also give a big shout out to Councillor Jeff Leiper, and assistant Fiona Mitchell, for their dedication and hard work to get the planters in place and set for planting this season. Thank you, thank you, thank you. Comments Off on Water a Pontiac Planter! As you are well aware closing down a road, taking down part of an NCC fence to make for more park land is not a trivial matter but this has been accomplished with the efforts of many folks. The Sir John A. Macdonald Winter Trail in Champlain Park has just opened unofficially, the initial grooming was done last Thursday afternoon to pack down the snow. Once we have more snow the classic X-ski tracks will be laid. 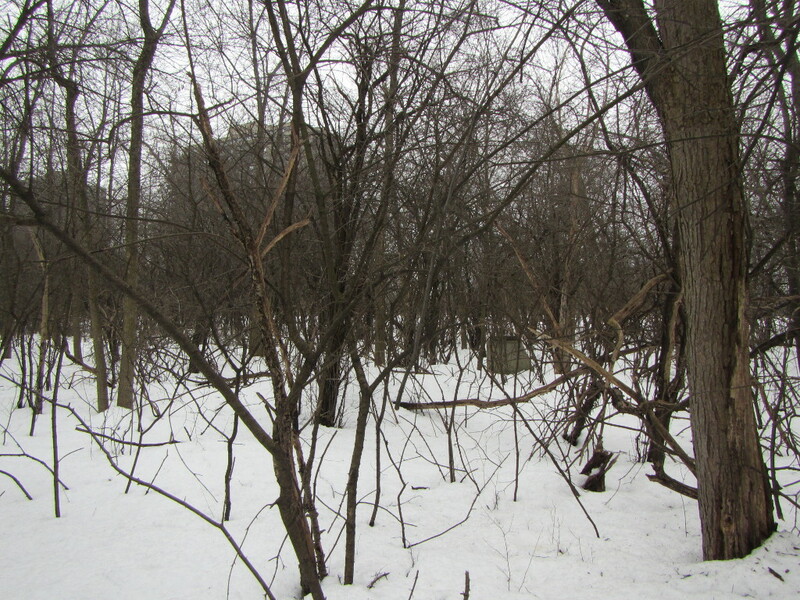 The SJAM – Champlain Park trail portion is a reality; it now crosses Pontiac Street (closed portion of Pontiac) into our park leading up to the Champlain Park Fieldhouse from Champlain Woods. Three residents enjoying x-skiing into Champlain Park on the newly added trail across Pontiac Street from the SJAM Champlain Woods trail. When you walk in the woods, you may encounter a few house foundations and manholes. They are hints of past development and ancient plans. I recently came across an old map that explains them. There’s a 1930s manhole on Pontiac, west of Patricia, obviously part of Pontiac when it existed there. You can easily walk over it since the forest path goes over the old road. I should really get a photo of it, but it’s currently too cold and snowy outside to do that. Posted on October 15, 2017 by AGMS | Comments Off on Adopt a Pontiac Planter! 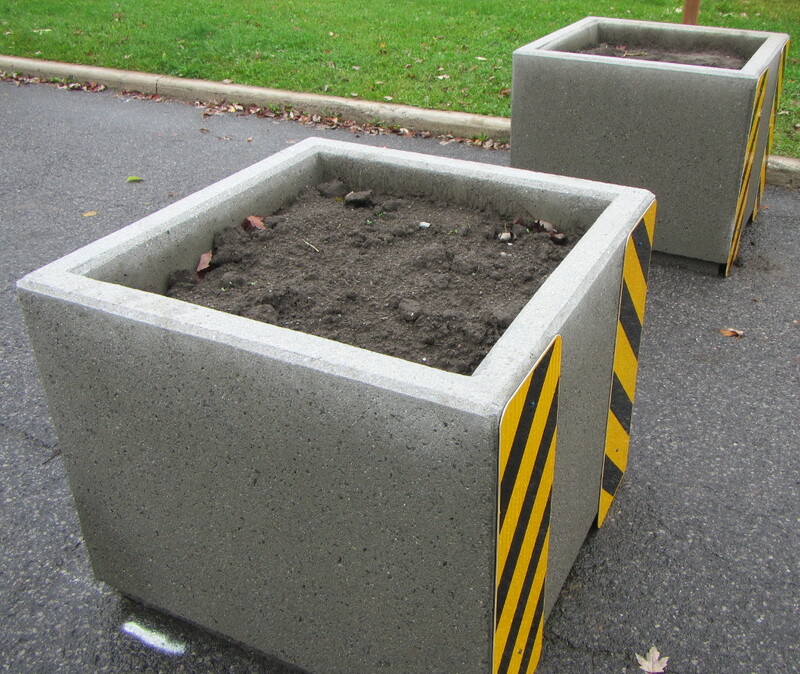 Seven planters have been installed by the City at the Park on Pontiac, to create and beautify a new greenspace (pending removal of the NCC fence and some pavement). The Community is responsible for planting and caring for the Planters. Two have been adopted already by a generous neighbour (marked with a stake). Five more are available for adoption. Let the Environment Committee (dbuckles@sas2.net) know if you are willing to get some perennials started this fall, and care for further planting and watering of a planter in the Spring. The City rules require that no food plants be included in a City planter, for food safety and liability reasons. Comments Off on Adopt a Pontiac Planter!